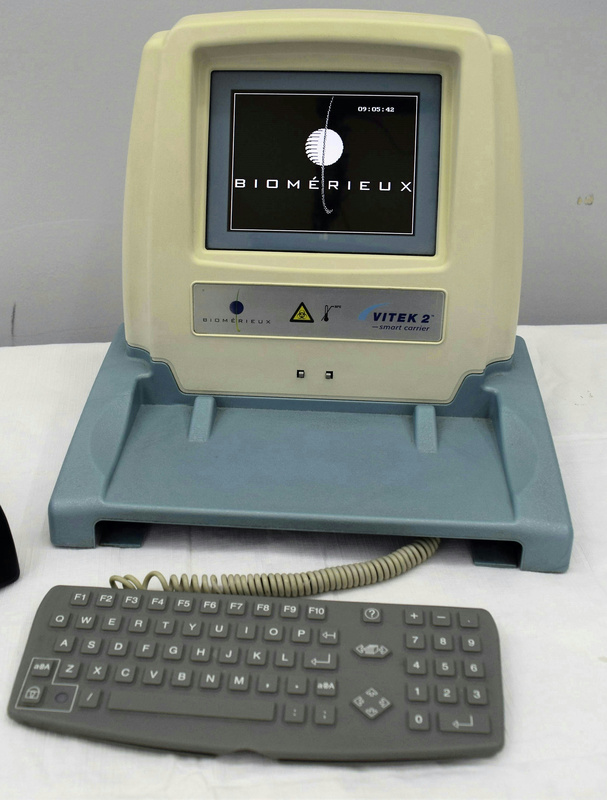 Biomerieux Vitek 2 Smart Carrier Station Data Entry Requires Power Supply . New Life Scientific, Inc. This instrument is in good cosmetic condition and shows signs of age and wear that are common with consistent use. New Life Scientific technicians have tested that the workstation powers on, by borrowing a power supply from a separate unit. This product does not come with a power supply, but one can be purchased separately from a third party or fabricated by NLS technicians. For viewing purposes only, staff attached a barcode scanner and power cord to show this unit does work. The scanner, power supply, and additional cords photographed are not included. This instrument powers on and has minor signs of cosmetic wear and age. The barcode scanner and power cord are not included with this unit.